Which Surgical Risk Score is Best? Doctors from Inova Heart & Vascular Institute, Falls Church, Virginia, recently published their findings after comparing the precision of three risk scores used to measure the quality of cardiac surgical care. They compared the Society of Thoracic Surgeons (STS) surgical risk score, primarily used in the United States, with the European System for Cardiac Operative Risk Evaluation (EuroSCORE II, EuroSCORE I). The original EuroSCORE I was developed between 1995 and 1999 from data of 19,000 cardiac surgery patients, most of whom had undergone coronary artery bypass grafting (CABG) surgery. About a third underwent valve surgery. The EuroScore I was updated in 2012 to be more user-friendly and applicable to a greater number of procedures. A secondary analysis for 5,880 patients with cardiac surgery, not accommodated by the STS model, compared only EuroSCORE II and I. 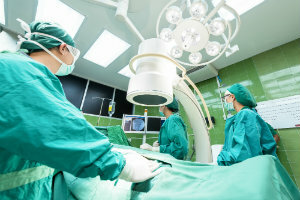 Researchers observed that overall operative mortality was 1.8%. The STS risk score’s mean predicted mortality was 2.7%, for EuroSCORE II it was 3.3%, and for EuroSCORE I, 7.8%. In the secondary group that compared EuroSCORE II with EuroSCORE I, the observed operative mortality was 4%. EuroSCORE II, with 5.8% operative mortality, had better absolute predictive and discriminative ability than EuroSCORE I, which predicted 12.5% operative mortality. In conclusion, the discriminating capability of EuroSCORE II and the STS risk score compared well for individual surgery groups and both were superior to EuroSCORE I. The inclusive nature of EuroSCORE II for numerous procedures provides more flexibility than the STS score for complex procedures, but the study justified use of the STS score in the United States. However, the researchers advised that physicians should use their own discretion when deciding which scoring system to use as they take into account the circumstances of each patient. They suggested that EuroSCORE II should be considered for calculating risk score for complex cardiac surgical patients.